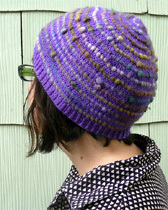 I can’t believe it’s already July AND I can’t believe how swamped Yarnivore is– but that’s a good thing! 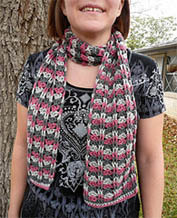 I just wrapped up my first crocheted sweater class (well, the first one that made! 4 awesome students, yeah!) this week and it was fun. Let’s just say we all learned alot about reading patterns and COUNTING. 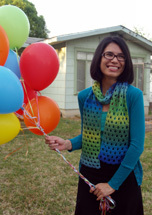 We made Dora Ohrenstein’s Kristy Cardigan and got most of it done in the 4 weeks, which was great. 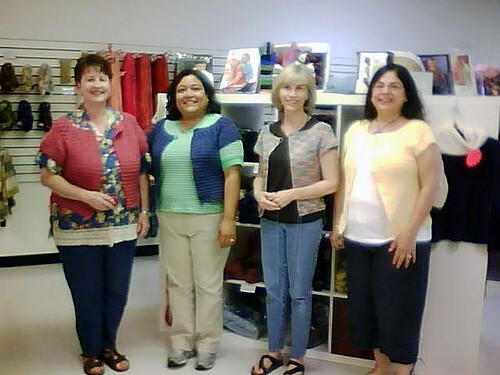 I forgot to take my camera to the last class so all I have is this blurry cell phone picture, but here are the ladies modeling their new cardigans (made in either Araucania Ruca and Mirasol Nuna). 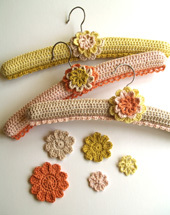 Coming up in July I’m offering Learn to Crochet, Intermediate Crochet (Creating Texture), Crochet Embellished Flip Flops (fun, easy, great gifts & no experience necessary), a Broomstick Lace Workshop and Crocheted Socks. I’m also trying something new called Crochet Fix. This is going to be a 2-hour session each Saturday where you can come to crochet and chat and get help on the project you are working on. 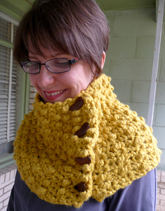 You can get your “crochet fix” and you can get your crochet fixed. 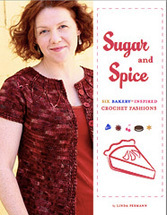 The price is very reasonable, so if you need a place to work with no distractions, an on-hand expert (me) to help you & provide tips and tricks, plus the camraderie of other crocheters, stop by and see what’s happening. 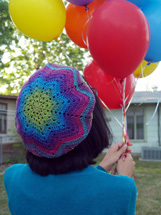 One of the things that I think crocheters are missing out on is community. 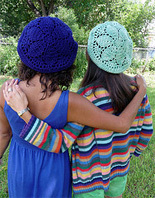 There is so much that we can all learn from each other–so I hope you’ll consider stopping in for a nice crochet ‘n’ chat session. 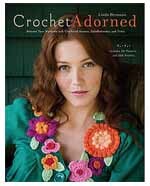 Not to toot my own horn, but even my students who have been crocheting for years pick up skills in my classes- whether it’s clarifying those pesky turning chains once and for all, talking about blocking, or helpful tricks including how to use stitch markers, how to make linked stitches, & how to know just where to work into an edge. 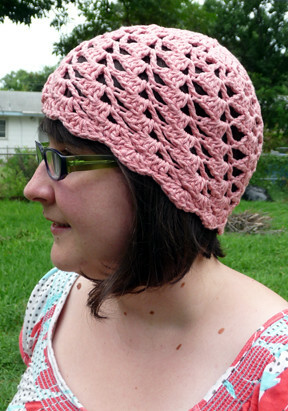 In other news, I’ve just released my Breezy Hat Pattern for sale, as originally seen in the Summer 2009 issue of Interweave Crochet. 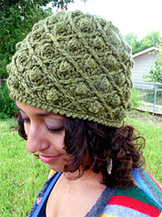 Click here if you’d like to purchase it, no ravelry account needed. 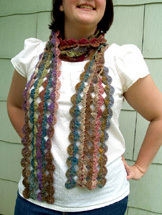 This was actually the first pattern I had published by Interweave, hopefully there will be more in the future. 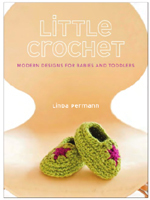 I love that they are good to their designers and let us sell the patterns once it has been a year from the publish date. 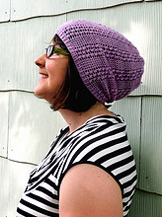 This pattern has been tech edited (by Interweave) and re-edited and re-tested (by me, yesterday) with updates on making the hat in a solid color, if you prefer. 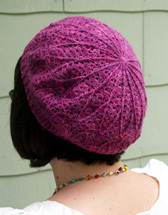 That’s what I did for the above sample, since I was too stressed to even think about taking a photograph of the original hat at the time I sent it in. 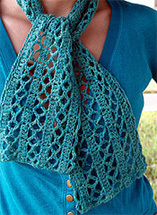 I love it in a solid color, too, and if you are an experienced crocheter, you can make this in a matter of hours. 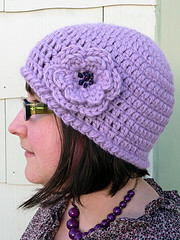 Throw a flower on it (might I suggest my free tutorial?) and it’s a great gift. Hey, it’s never to early to start thinking about the holidays.